Come to Opua Motel in the beautiful Bay of Islands and enjoy boutique style accommodation, a friendly Kiwi welcome, relax in a garden setting and take in the stunning landscape that surrounds us. Perched on the hill just a short walk from the marina and waterfront in the historic village port of Opua we enjoy views of our stunning NZ scenery, from the Waikare Inlet and the Veronica Channel to the surrounding bush-clad hills and a clear night sky. Opua Motel is small, friendly and welcoming, a place to relax and call home, offering affordable boutique accommodation and facilities. Our self contained units are modern and stylish, with various options available to accommodate small family groups, friends, couples and single travellers - including those with accessibility needs - all welcome. "I know you will feel at home here!" 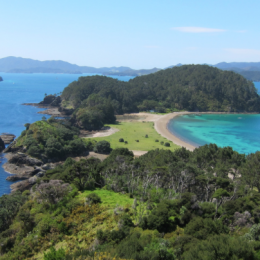 Opua is the gateway to the Bay of Islands, a world famous destination for those who love the sea. It offers deep waters, sheltered coves, unspoiled landscape and abundant wildlife. 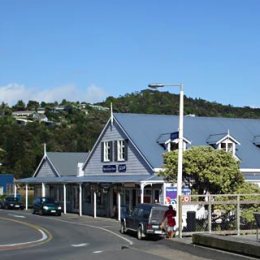 The historic village of Port Opua is a lively hub for all boating enthusiasts and marine related activities. Here you will find a general store, cafe, and cruising club. Enjoy our new waterfront boardwalk around the marina, watch boats sail by from the wharf or head off on your bike along the Pou Herenga Tai Twin Coast Cycle Trail. The choice of other activities in this area is endless - from early NZ history to water sports, wineries and walking tracks. The motel is a great place to use as a base for your whole Northland experience. Stay a bit longer and experience all that is on offer. JUST BE HERE!